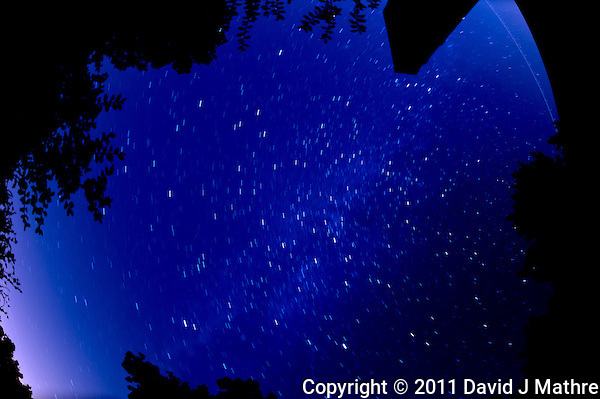 Backyard Late Summer Nighttime Sky in New Jersey. When the conditions are right, you can see the Milky Way in New Jersey. 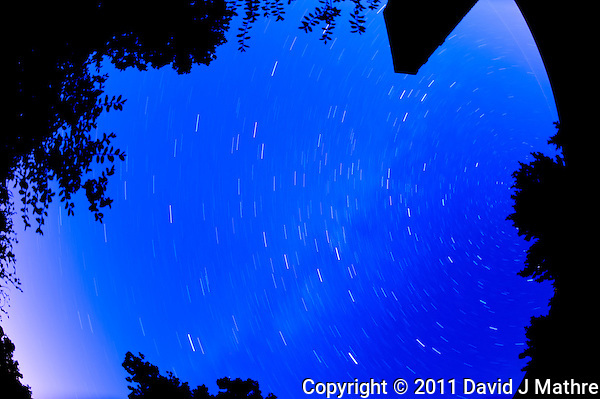 Two views, a 5 minute and 15 minute exposure. I am back in New Jersey after a short trip to San Francisco. I hate flying and this trip was bad. I spent 4 hours in the plane before taking off in Philadelphia (we did get back to the gate for a short stop to avoid the 3 hour federal regulation rules). Ultimately it took 12 hours from the time I left my office to get to the hotel in San Francisco. I hate flying, and would rather drive. For the return flight, the airline decided there were too many empty seats and substituted a smaller plane (and bumped 20+ passengers). ARRG! I just wanted to get home, and was not interested in a $400 future credit. Ultimately I got a seat on the original flight. It was a middle seat, and I had to force the armrest down to separate me from the over sized person next to me oozing into my seat. I hate flying. I hate flying. I hate flying. I am new to developing sites and I was wanting to know if having your blog title related to your content really that critical? I see your title, “18-September-2011 – David Mathre Photography ” does seem to be spot on with what your website is about but, I prefer to keep my title less content descriptive and based more around site branding. Would you think this is a good idea or bad idea? Any kind of help would be greatly valued. It helps me keep organized. I use tags to provide alt method for searching for content.